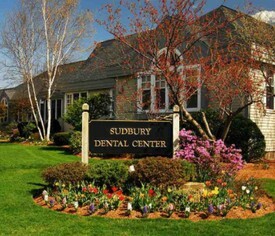 Sudbury, DMD PC has provided Sudbury and its nearby communities state-of-the-art dental services for over twenty-five years. Our approach to dentistry is achieved through a stress-free environment, centering on simple, yet effective treatment. We focus on patient experience and building trust over the years with quality service by a doctor who lives for helping others. Working to claim your optimal smile is a journey; Dr. Cohen offers durable restorations while recommending proactive methods to help you every step of the way. Preventative dentistry: Stops issues before they start with the latest oral hygiene techniques for at-home maintenance. Professional Cleanings: Try to be consistent with your cleanings. Not all bacteria build-up can be scrubbed away with brushing and flossing and therefore, needs professional removal. Orthodontic therapy: Clear braces are discreet and the teeth misalignment treatment most preferred by Dr. Cohen. Sleep therapy: Oral appliances allow patients to sleep through the night comfortably. Dr. Cohen exams and prescribes the device right here at our office. Periodontal surgery: Our gums are susceptible to a wide range of issues; periodontal surgery addresses severe pockets in our gums by accessing, cleaning, and restoring the area. Dental Implants: Dr. Cohen diagnoses, then refers out to a trusted prosthodontist for placement before setting the new crown or denture abutment. Hypnosis dentistry*: Relaxation is key to helping patients that have dental phobias or general anxiety. Dr. Cohen knows that every patient will have their own needs and might combine procedures as necessary effort to achieve an optimal smile. The most common ways we help our patients is through the spread of oral hygiene techniques and general dental education. Our combined use of proactive and reactive treatments is effective in keeping our patient’s smiles healthy. For dental procedures that might fall outside of Dr. Cohen’s expertise, we work with a network of trusted specialists so you can receive the care you need. Our relationships with various practices featuring experienced periodontists and prosthetic labs allow patients to avoid their issues being turned away, or personally seeking out a specialized dentist. No one should be unsure about seeing a dentist the minute they experience an issue. The team is here to work with you so you and your loved ones can achieve a smile that is both healthy and attractive!